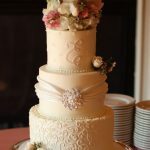 James and Melida Hunter celebrated their wedding day at The Garden on Millbrook in Raleigh, NC. 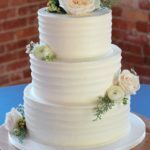 The wedding cake was a 3 tier cake with gold filigree designs on the top and bottom tier. 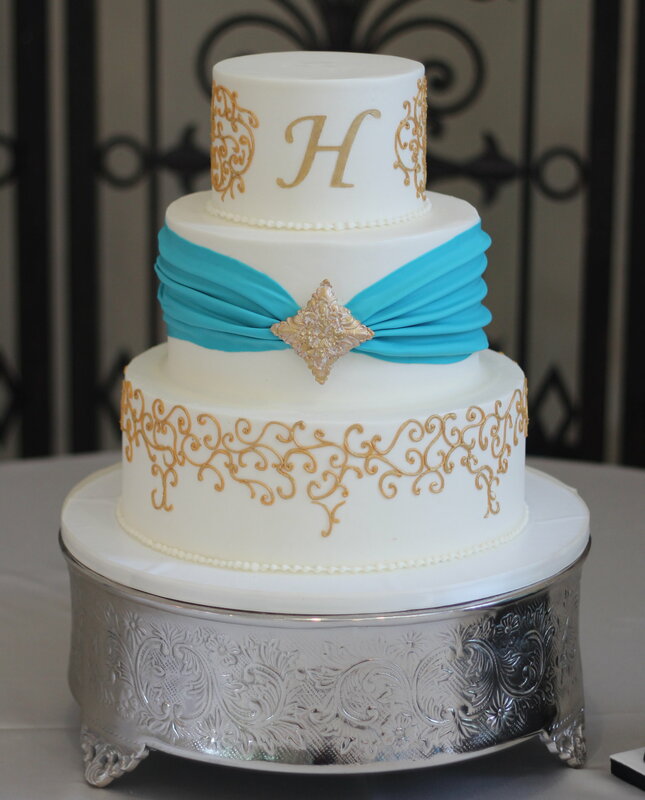 The middle tier had a turquoise fondant sash with a gum paste gold brooch in the center. 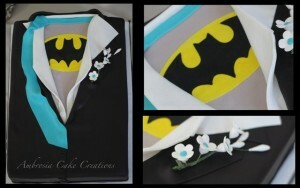 They choose to have a groom’s cake with a Batman theme… A sheet cake made to look like a tuxedo opened to expose the Batman costume.